Monsido has developed a web governance suite designed to allow web masters to optimize their websites. 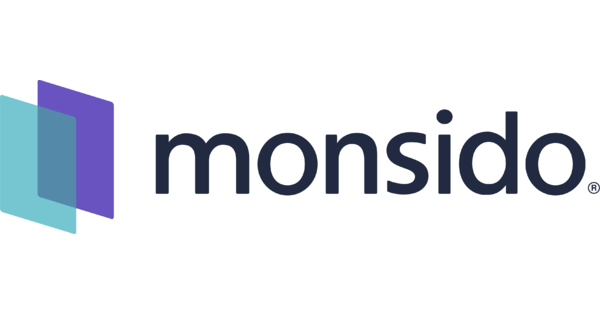 Beyond simple web accessibility testing, Monsido’s tool set includes Quality Assurance, Web Analytics and Web Accessibility including integration with CommonLook Clarity for PDF Accessibility testing. In addition, the tool provides SEO Auditing, Content Policies, Heartbeat and Performance Measurements. The reporting tools allow you to prioritize your work by fixing the most important issues first. Monsido allows your team to manage all your websites from just one powerful tool. AccessibilityOz is an accessibility consultancy operating in Australia and the USA. They test websites, in addition to providing training and tools to help keep your site accessible. Their accessibility training and seminars are designed to suit you— web content authors, web developers and web managers. Take the complexity out of WCAG2. Practical hands-on exercises. In-depth training manuals. With over 65 years of service and innovation, Municode’s mission is to connect you to your citizens. To do so, they work with their 4,100 municipal clients across the country to create products and solutions that promote transparency, efficiency and that enable you to more effectively serve your staff and your citizens. Whether it’s through the legal codification process, Municode’s robust suite of online legislative search tools, custom website design, or their online payment portal, their goal is to help you more effectively engage with the citizens in your community. Since 1983 Edsoft has been a leader in the delivery of pioneering elearning tools and solutions. Now part of Campion Education, Australia’s largest textbook and resource provider to schools, they continue to deliver expertise in key areas to support the school community. As the experts in the provision of specialist content software and the development and design of ebook distribution and collaboration solutions, Edsoft is able to provide value to customers. SYSUSA is a “Certified Small Business” specializing in Cyber-Security, IT-GRC, Cloud Security, Infrastructure Security, Application Security, Software Development, Training & Certification, Project Management, Program Management, Strategic Consulting and Contingency Staffing services. SYSUSA’s service and solutions are designed to create a secure, resilient and efficient business environment. SYSUSA prides itself in helping clients leverage existing organizational technology and business resources to develop strategies that enhance corporate image, reduce liability, and establish a foundation for sustainable growth. For over ten years Destek has been providing accessible solutions, from accessible building advice and audits, through to accessibility testing for Web, software and mobile technologies, helping companies to comply with UK and worldwide disability laws, and addressing organisational corporate responsibilities. They have helped many organisations achieve accessibility of their web/software products and buildings. The DAC works with all types of organizations to help them create digital media that is accessible to everyone, regardless of age and ability, and meets best practice accessibility standards and legislation. The DAC is a 100% non-profit enterprise, with a team of testers who all have different types of disabilities and who are passionate about digital inclusion. Working to the most up-to-date standards, such as the AA level of the W3C Web content accessibility guidelines version 2 (WCAG 2.0), much of the DAC’s work is customized to customer requirements. With offices in both the UK and Australia, DAC is the exclusive training provider for CommonLook Tools in the UK. Does your firm need a partner for software or professional services surrounding compliance?